Ballymote Community Nursing Unit is a safe haven and a peaceful shelter for all our long and short term residents. Surrounded by beautiful landscaped gardens and managed with the highest and warmest individual care, the Unit promotes serenity and a cheerful, radiant setting while guaranteeing independence, privacy and dignity. Each resident at Ballymote Community Nursing Unit can exercise choice and control over their life and care and is encouraged and enabled to maximise their independence in accordance with their wishes. Our residents have ongoing assessments of their health, personal and social care needs and have the opportunity to participate in and contribute to the assessments. We strive to make sure that our residents lifestyle here will match, as far as possible, their life before entering the care setting. Volunteers also provide social and recreational support to enhance residents quality of life here at the nursing unit. We encourage our residents to express their views on any aspect of Ballymote Community Nursing Unit and hold monthly Consumer meetings where residents are consulted on the organisation of the nursing unit. There is a church located within Ballymote Community Nursing Unit, which is also used by the local community. Mass is celebrated on the First Friday of each month and Mass is also celebrated on all special feast days. Holy Communion is provided daily, if a resident wishes to receive it, by one of the Euchariastic Ministers who live near by. 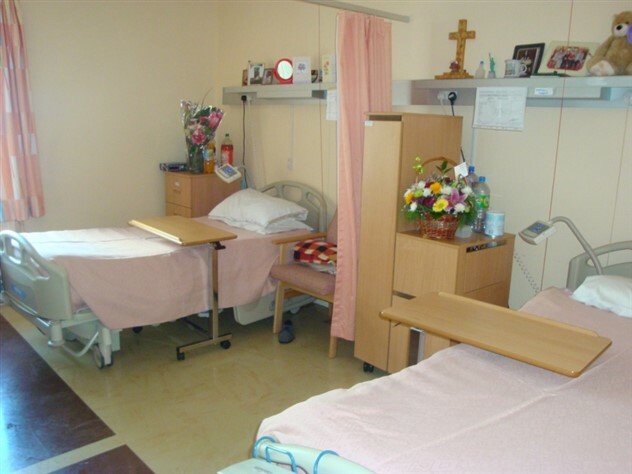 Other religious pastors may visit the nursing unit and residents will be facilitated to have their own religious orientation catered for. The physical environment enhances the quality of each residents life and the care setting is a pleasant place to live. It meets their needs in a comfortable and homely way. Residents will be able to move around the premises and grounds and are encouraged to bring personal belongings to the unit and a lockable storage space is available.